FOX, Hon. Charles James (1749-1806), of Wimbledon, Surr. b. 24 Jan. 1749, 2nd s. of Henry Fox, 1st Baron Holland, and bro. of Hon. Stephen Fox. educ. Wandsworth sch. ; Eton 1757-64; Hertford, Oxf. 1764; L. Inn 1764; Grand Tour (France, Italy, Switzerland). m. 28 Sept. 1795, Elizabeth Bridget Armistead, s.p. Ld. of Admiralty Feb. 1770-Feb. 1772, of Treasury Jan. 1773-Feb. 1774; P.C. 30 Mar. 1782, struck off 9 May 1798, restored 5 Feb. 1806; sec. of state for foreign affairs Mar.-July 1782, Apr.-Dec. 1783, Feb. 1806- d.
The parliamentary careers of Henry and Charles James Fox span more than seventy years: before the fall of Walpole, Henry Fox was a man of standing in the House of Commons, and his son lived to see Napoleon Emperor of the French. At first glance it seems hardly possible to imagine two careers more dissimilar. Henry Fox spent twenty-five years in the service of the Crown and never once went into declared opposition; Charles James was a junior minister for a little over three years, had three spells as foreign secretary (each of only a few months), and spent nearly thirty years in opposition. Henry conceived politics primarily in terms of jobs and honours, Charles James of party and principle. The one exalted the power of the Crown, the other did all he could to diminish it. Today ’tis done, tomorrow ’tis forgot. On 20 Feb. 1772 Fox resigned his place at the Admiralty. ‘He had not any one particular reason for this step’, wrote John Craufurd to Lord Ossory, ‘but upon the whole he thought Lord North did not treat him with the confidence and attention he used to do.’ But Fox himself gave a deeper reason: ‘I should not have resigned at this moment merely on account of my complaints against Lord North, if I had not determined to vote against this Royal Family Bill ... I think myself very safe from going into Opposition.’2 The royal marriage bill was introduced at George III’s express command, and Fox was one of its bitterest opponents. Yet in December 1772 there was ‘a new disposition of places’, according to Walpole3 ‘arranged solely to make room for Charles Fox at the Treasury’. You will have heard before this of the disgraceful end of all India inquiries in the House of Commons. I really did not [think] it possible for me to be so much out of humour about any political event as I am about this. But the strange irresolution shown in this affair... leaves one no hopes of any plan being ever carried on with spirit and perseverance. Lord Clive is not only unpunished and uncensured, but a vote passed in his praise. I own [wrote George Selwyn] that to see Charles closeted every instant at Brooks’s by one or the other, that he can neither punt nor deal for a quarter of an hour but he is obliged to give an audience, while Hare is whispering and standing behind him, like Jack Robinson, with a pencil and paper for memorandums, is to me a scene la plus parfaitement comique que l’on puisse imaginer. It took Fox a long time to live down the reputation he had made for himself, and he possibly never realized the harm it did to his party. The faculties of his mind were genuine, strong, and mature. He conceived, digested, and replied at once. His reasoning and elocution were equally impetuous ... Such an amazing burst of parts, that wanted no ripening and anticipated instruction, produced as rapid effects; in others admiration and envy, in himself excess of vanity and presumption, beyond what even flattery and intoxication could warrant. Bold, spirited, and confident, he behaved as if already in possession of all the triumphs he aspired to, and familiarized himself with pre-eminence before he was known enough to have published even his pretensions. Thus at twenty-two he acted and was hated as a leader of a party; his arrogance, loquacity, and intemperance raising him the enemies of a minister before he had acquired the power of one. Two or three inconsiderate people of Almack’s ... have imbibed such a belief of the necessity of Charles’s being the first man of this country, and the necessity also to the well-being of this country that it should be so, that they cannot conceive there should be the least impediment to it, arising either from his own conduct or that of others. There we accordingly knocked, and were told by the servant that his master was not up but that he would take our names to him, and in the meantime we were conducted to a handsome room in which was a portrait of an opera girl, a small table with an ordinary breakfast service for one person, a dirty sofa, and three or four chairs. After we had waited a few minutes Mr. Fox came in. His complexion was of the dirtiest colour and tinged with a yellowish hue; his hair was exceedingly black, uncombed, and clotted with the pomatures and small remnants of powder of the day before; his beard was unshaved, and together with his bushy eyebrows increased the natural darkness of his skin; his nightgown was old and dirty; the collar of his shirt was open and discovered a broad chest covered with hair; the knees of his breeches were unbuttoned; his stockings were ungartered and hung low upon his legs; his slippers were down at the heels; his hands were dirty; his voice was hoarse like that of a hackney coachman who is much exposed to the night air. Yet under all these various disadvantages his countenance was mild and pleasing. The lack of feeling Fox showed towards his father was reproduced in other relationships; and Selwyn, Philip Francis, and his cousin Lady Susan O’Brien all complained of his failure to help them at their moment of need. Selwyn wrote in 1782:16. Charles, I am persuaded, would have no consideration on earth but for what was useful to his own ends. You have heard me say that I thought he had no malice or rancour; I think so still and am sure of it. But I think he has no feeling, neither, for anyone but himself. ‘The essential defect in his character’, wrote Francis after his death,17 ‘and the cause of all his failures, strange as it may seem, was that he had no heart.’ Together with poverty in human relationships (except where his own supremacy was uncontested) went a lack of judgment which was fatal to his success as a politician. A man so self-centred could not adapt himself to changes of mood; and at moments of crisis he was apt to be hesitant and perplexed. Gilbert Elliot wrote at the time of the Regency crisis in 1789 that Fox had ‘great difficulty or backwardness in resolving, as if he had no interest or no judgment in the affairs that are depending, and at last he lets anybody else decide for him, so measures are often the production of chance instead of wisdom’.18 Moreover, Fox was unable to sense mass opinion with which he himself was not in sympathy. But no analysis of Fox’s character can reveal the qualities which so attracted his contemporaries. The charm of his conversation could not survive, and the brilliance of his speeches is but faintly visible in the imperfect parliamentary reports. ‘Charles Fox ... is one of the pleasantest men in the world’, wrote Burke in 1777,19 ‘as well as the greatest genius that perhaps this country has ever produced ... the British dominions cannot furnish anything beyond him.’ And Wilberforce, a political opponent, wrote during one of Fox’s absences from the House:20 ‘You cannot imagine how insipid and vapid our debates are without Fox.’ Without possessing Burke’s intellectual distinction, he was a much greater parliamentarian: vigorous, persevering, and with a clear and lucid mind, which could simplify and resolve complex problems; excelling alike in set speeches or in debate; and able to win both personal affection and political loyalty. Experience is better than all reasoning, and from experience one may conclude that by leaving America untaxed she would be useful and obedient and by taxing her that she would be contrary ... I think we should be content to tax them virtually by regulating their trade. If soldiers are to collect the taxes in America, I doubt this country will be little benefited by what may be raised there. His attitude towards the American problem remained the same throughout the conflict. ‘Countries should always be governed by the will of the governed’, he said in the debate of 19 Apr. 1774; and when America declared her independence, Fox was one of the first to urge that Britain should accept the inevitable. The right of peoples to choose for themselves their form of government became part of his political creed. In September 1774 Fox was counted by Administration as in declared opposition; by the end of the next session of Parliament he was on the way to becoming the acknowledged leader of the Opposition in the House of Commons. His friendship with Burke brought him into touch with the Rockinghams; he was close to Grafton and Camden; with Chatham and Shelburne, alone of the Opposition leaders, he seems to have had little contact. In addition he built up a following among the independent Members, drawn by his character and parliamentary talents. Chatham died in 1778 and Rockingham became more and more a titular leader of Opposition, with Fox as the real driving force in the House of Commons. Moreover Fox was able to make an appeal to the nation at large and to capture their imagination as no other politician could. He identified himself with the programme of the association movement; became chairman Westminster Association; and in 1780 was triumphantly elected, free of expense, M.P. for Westminster. On the fall of North, Fox took office in a Cabinet of which Rockingham was the nominal leader but Shelburne the man whom the King trusted. Fox became minister in the House of Commons and the first holder of the office of secretary of state for foreign affairs. As such he had charge of peace negotiations with France, Spain, and Holland, while the negotiations with America were the responsibility of Shelburne, secretary for home and colonial affairs. The struggle for power between Fox and Shelburne began the moment they took office; and Rockingham reigned impotent over a divided Cabinet. To sharpen Fox’s resentment was the recollection of Shelburne’s quarrel with Lord Holland in 1763. Fox had taken over another of his father’s old feuds. Fox and Shelburne first clashed over patronage, and then over their respective shares in the peace negotiations. Each secretary had his envoy in Paris, and the envoys took up and accentuated the quarrels of their masters. The struggle for power came to a head over the recognition of American independence. Fox, following the line he had taken since 1776, demanded the immediate recognition of the independence of the United States (which would have placed the whole of the peace negotiations in his department); Shelburne, equally faithful to a policy he and Chatham had consistently advocated, wished to grant independence only as a condition of peace. On 28 June Fox complained to Grafton ‘of the decided opinions against everything proposed by him, and added that it would be impossible to go on in such a way’.22 The issue was fought out at a Cabinet meeting on 30 June, and Fox was defeated. He declared his determination to resign, but postponed his resignation because of Rockingham’s illness. Rockingham died the next day. The King had decided before Rockingham’s death that Shelburne should succeed to the Treasury. 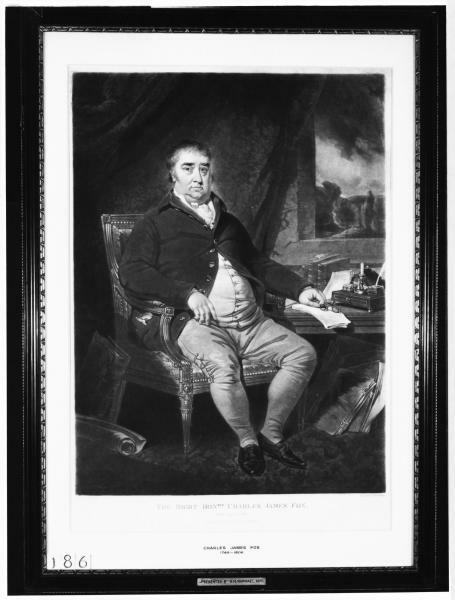 ‘Charles ... will move heaven and earth to resist the appointment’, wrote Richard Fitzpatrick to his brother, Lord Ossory, on 3 July.23 Fox claimed that the new head of the Treasury should be chosen by the Cabinet, and should possess the confidence of the Rockingham party. But the Rockinghams were not a majority in the Cabinet, and when Fox resigned Lord John Cavendish was the only Cabinet minister to accompany him. In the House of Commons on 9 July Fox justified his resignation by his distrust of Shelburne.24 He spoke of his differences with Shelburne over America; accused him of treating ‘with the utmost contempt’ the policy of reducing the influence of the Crown; and of being inclined ‘to screen from justice and punishment those delinquents who had destroyed our possessions in the East’. With Shelburne as minister, Fox declared, the principles of the Rockingham Administration would be thrown over, and the King would have a minister pledged to maintain the influence of the Crown—a minister worse even than North. Fox could not conceal behind a declaration of political principles, sincere though they were, his hatred of Shelburne and the King. To George Selwyn in March 1782 he ‘talked of the King under the description of Satan’, a comparison, added Selwyn, ‘which he seems fond of and has used to others’.25 Such had been his sentiments for some time. ‘It is intolerable’, he wrote to Fitzpatrick on 9 Sept. 1781, referring to the King, ‘that it should be in the power of one blockhead to do so much mischief.’26 And Lord Carmarthen reports Fox having said on the day he received the seals as secretary of state: ‘Certainly things look well, but he (meaning the King) will die soon, and that will be best of all.’27 Behind Fox’s politics were deep obsessional hatreds, which distorted his judgment and perverted his sense of reality. It is neither wise nor noble to keep up animosities for ever. It is not just nor candid to keep up animosity when the cause of it is no more. It is not my nature to bear malice, nor to live in ill will. My friendships are perpetual, my enmities not so ... When a man ceases to be what he was, when the opinions which made him obnoxious are changed, he then is no more my enemy but my friend. From the moment when he should make any terms with one of them he would rest satisfied to be called the most infamous of mankind. He could not for an instant think of a coalition with men who in every public and private transaction as ministers had shown themselves void of every principle of honour and honesty. In the hands of such men he would not trust his honour even for a minute. Fox has been more criticized for making the coalition with North than for any other action of his life. Yet there is much to be said in his defence. Shelburne’s Administration was weak, and a coalition of some kind was almost inevitable in 1783. Moreover, the coalition satisfied a deep psychological need in Fox’s party: it brought to a triumphant conclusion the feud which they had waged since 1766 against Shelburne and Chatham; and to force an Administration on the King was the logical culmination of the policy of reducing the influence of the Crown. At this crisis in his career Fox failed to sense the reaction of public opinion. Independent Members, highly respected in the Commons and not unfavourably disposed to Fox, such as Sir George Savile and Thomas Powys, were shocked that he could so lightly pass over his declarations against North. The association movement, still powerful in the north of England, could not forgive him for what they regarded as his betrayal of parliamentary reform. To independent men it seemed that Fox had thrown over his principles for the sake of office. Shelburne was defeated on the peace preliminaries and at once resigned. For nearly seven weeks George III twisted and turned, and tried every expedient rather than accept the Coalition. But no man would take upon himself the responsibility for conducting Administration against Fox in the House of Commons; and the King had eventually to capitulate. The ill-grace with which he accepted the Coalition should have been a warning to Fox that their tenure of office was on a very insecure footing. But Fox made no attempt to salve the King’s wounded feelings; George III was compelled to accept a Cabinet not one member of which he could call his own. Fox reigned supreme: North feared responsibility and was not likely to challenge his authority, and the Duke of Portland, the nominal head of Administration, was a mere convenience. Mr. Fox ... begs leave most humbly to implore your Majesty to believe that both the Duke of Portland and he have nothing so much at heart as to conduct your Majesty’s affairs, both with respect to measures and to persons, in the manner that may give your Majesty the most satisfaction, and that, whenever your Majesty will be graciously pleased to condescend even to hint your inclinations upon any subject, that it will be the study of your Majesty’s ministers to show how truly sensible they are of your Majesty’s goodness. But how much feeling was there behind these words? Instead of attempting a reconciliation, Fox seemed to do everything possible to antagonize the King. His friendship with the Prince of Wales evoked memories of past divisions in the royal family, and gave the Coalition the appearance of the ‘Prince’s ministry’; which was strengthened by Fox’s injudicious attempt to increase the Prince’s establishment. Emotionally he sympathized with the son against the father, with the subject against the sovereign, with the rebel against authority. With his politics based on such a foundation, he could not hope to win the King’s favour; he counted instead on the support of public opinion, and he blundered into losing that. Peace having been concluded and parliamentary reform shelved, India was the most urgent problem facing the Coalition. Fox and Burke held similar ideas about the settlement of India, and it matters little what were their respective shares in the drafting of Fox’s East India bill. The bill was based on three premises: that the East India Company could no longer govern India with efficiency and justice; that some sort of public control over the government of India was essential; and that it would be dangerous to vest this control in the Crown. The Company was to be relieved of its territorial responsibilities, which were to be entrusted to a body of seven commissioners, named in the bill, to hold office for four years. The Crown was to fill up vacancies and to nominate future commissioners. The head of the commission was to be Lord Fitzwilliam, Rockingham’s nephew and heir; and all seven commissioners were close political friends of either Fox or North. For at least the next four years Fox would govern India and control the patronage of the Company. The India bill was the last measure in the movement to limit the influence of the Crown, and it came when a reaction in favour of the Crown was just beginning. 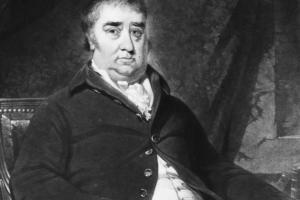 Mr. Fox ... formed a plan ... to get possession of the East India patronage by vesting it in seven of his own friends, by which means the parliamentary influence of a private man would have been almost equal to the great power of the prerogative ... This possession would have made him too powerful to have been turned out, and consequently the private being united to the ministerial influence would have made him perpetual dictator. The King determined to profit by Fox’s mistakes, and, with a complete lack of scruple, which indicates the depth of his hatred of Fox, plotted the Coalition’s downfall. He could not prevent the India bill from passing the Commons, but he let it be known that all who voted for it in the Lords would be regarded as his enemies. This had its effect. On 16 Dec. Administration were beaten on a motion to adjourn, and again the next day on the motion to commit the bill. On 18 Dec. Fox and North were dismissed. ‘We are beat’, wrote Fox, ‘... by such treachery on the part of the King, and such meanness on the part of his friends in the House of Lords, as one could not expect either from him or them ... However, we are so strong that nobody can undertake without madness, and if they do I think we shall destroy them almost as soon as they are formed.’33 It was a grave over-estimate of his own strength, and entirely neglected the force of public opinion. As Pitt held on to office, the House of Commons slowly turned in his favour: on 12 Jan. 1784 Fox had a majority of 39; by 8 Mar. it was reduced to a bare one. Richard Fitzpatrick, probably Fox’s closest friend, had compared George III’s conduct on the India bill to that of Charles I in 1641;34 and a similar parallel seems to have run through Fox’s mind. Just as Pym in 1641 could not entrust Charles I with the command of an army to put down the Irish rebellion, so Fox could not entrust George III with the patronage of the East India Company. But there was no parallel between Charles I’s attempt to arrest the five Members and George III’s intervention against the India bill. Fox’s tactics pre-supposed the existence of a revolutionary situation in England; in fact, public opinion was behind the King, and it was Fox, not George III, who was accused of having attempted to overturn the constitution. ‘Is George III or Charles Fox to reign?’, asked Lord Fauconberg at the meeting of Yorkshire freeholders on 25 Mar. 1784. At the general election Fitzwilliam sponsored two Foxite candidates for Yorkshire against two followers of Pitt. Here are some of the reports of his agents as they canvassed the county: ‘The cry against Mr. Fox is most astonishing’ (Stephen Croft, 6 Mar. ); ‘The people have no idea but that Mr. Fox wants to get the better of the King and be the lord protector’ (John Carr, 8 Mar. ); ‘They [the merchants of Wakefield] are so hot at present and angry with Charles Fox upon his India bill that many of them are not to be talked to’ (Peregrine Wentworth, 11 Feb.); ‘The received notion amongst the inferiors in many parts is that Mr. Fox was attempting to dethrone the King and make himself an Oliver Cromwell’ (R. Parker, 26 Apr. ); etc. In the open constituencies, where the force of public opinion could be felt, Fox’s friends fared badly; and Fox himself had a hard fight at Westminster, where Pitt’s Administration strained every nerve against him. Fox was elected after a prolonged scrutiny, and in the meantime he sat for Tain Burghs on the interest of his friend, Sir Thomas Dundas. As to Charles Fox, though I admire his abilities as much as anybody can, yet I am perfectly convinced that nothing but the death of the King can bring him forward, and therefore I consider him destined to pass the greatest part of his life in opposition. I have heard the King speak of him with that indignation that I really believe he would sacrifice everything than allow him to come forward. After 1784 Fox matured a great deal. Under the impact of the French Revolution his politics lost their emotional colouring, and he became the advocate of a political ideal, far different from that of his friend Burke. More than any other man, he may be deemed the founder of the Whig party of the early nineteenth century. Fox died 13 Sept. 1806. 1. Corresp. C. J. Fox, i. 36, 41. 3. Last Jnls. i. 164. 4. Buckingham, Courts Cabinets Geo. III, i. 213. 7. Add. 35068, f. 12. 10. Leinster Corresp i. 204. 13. Unprinted passage of Mems. Geo. III. 14. Beaufoy’s memoir, Hants RO. 17. Parkes Merivale, Mems. Francis, ii. 459. 18. Life and Letters of Sir G. Elliot, i. 257. 19. Burke to Garret Nagle, 26 Oct. 1777. 23. Corresp. C. J. Fox, i. 459. 24. Debrett, vii. 292-7, 300-6, 308-311. 26. Corresp. C. J. Fox, i. 267. 27. Pol. Memoranda Duke of Leeds, ed. Browning, 66. 29. Burke to Rockingham, 17 Oct. 1779. 33. Corresp. C. J. Fox, ii. 221. 35. Eden Corresp. i. 362.